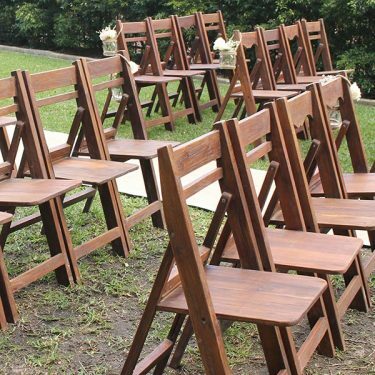 These beautiful mahogany folding resin wedding chairs are perfect for your beach, garden or park wedding. 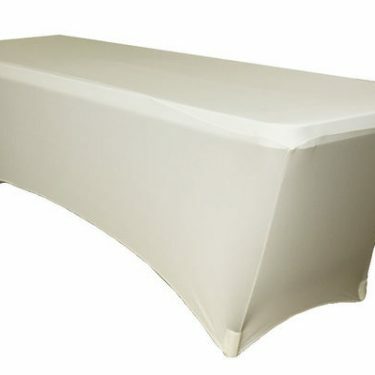 They look stunning just as they are, or you may choose to add sashes, flowers or chair decorations for a stylish touch. 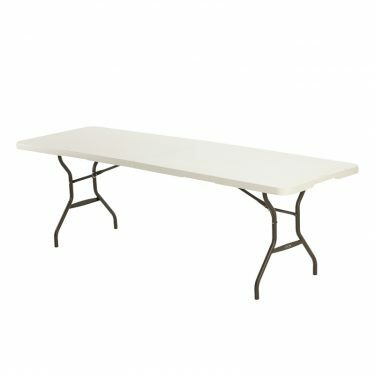 Available as a minimum hire of 10 chairs. 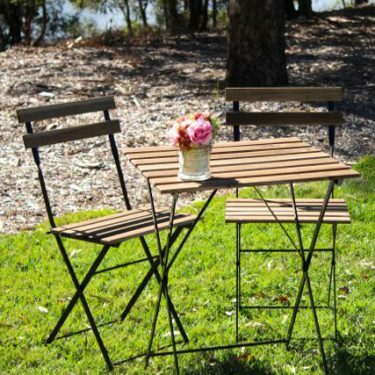 These chairs measure 87cm x 44cm x 6cm on their own. 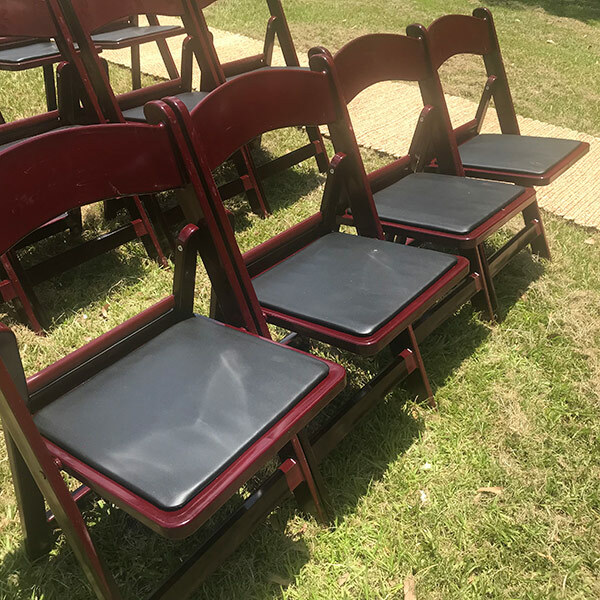 Mahogany resin folding chair (pictured here on far left). DIMENSIONS: Flat packed 87cm x 44cm x 6cm. NOTE: The product photograph may depict additional items which are not included. COLLECTION: Hire items are available to collect on the Thursday prior to your weekend wedding. The return date is the Monday after. If you are having a weekday wedding please contact us to organise alternate times for collection and return. FAQ: Find out more about availability, collection and return times here. TERMS & CONDITIONS: View our T&C’s here.